Free Joomla templates – everyone is looking for them, but it’s really hard to find well-done and effective ones. All launched themes are already seen and taken for some projects, and Joomla fans are looking for the fresh items that can satisfy their demands. People really like this user-friendly and mobile-ready CMS (with so many powerful extensions) that allows building sites of all shapes and sizes. Millions of websites run it today, and you can be sure that this number will increase. The powerful Joomla community tries its best to produce professional themes that can be used for free, but the problem is to find them. It would be great to see a variety of professionally done themes with visually effective designs that are put in one place. To facilitate your work with Joomla, here is a compilation of Free Joomla Templates that are ready-made skins for starting or redesigning your sites. Why should you like them? Besides, Joomla community is always ready to help you with any questions regarding installation and general questions about this CMS. Plenty of useful tutorials are available online, so even a user with minor coding skills can start a site. Of course, if you are familiar with it and are a real fan of this CMS, you know how to do it quite well. So, let’s cut a long story short and move to the main point of this post – the top Free Joomla Templates that are completely ready for use. Try them and start great projects. Whatever business website you’re going to create (consulting, insurance, investment, accounting, financial, etc), this stylish black theme with blue accents and legible fonts will present the key company’s ideas in a proper manner. Those who follow the latest design trends will find this theme a perfect fit for their sites. Its design features so popular today masonry layout with multicolored accents and tags. 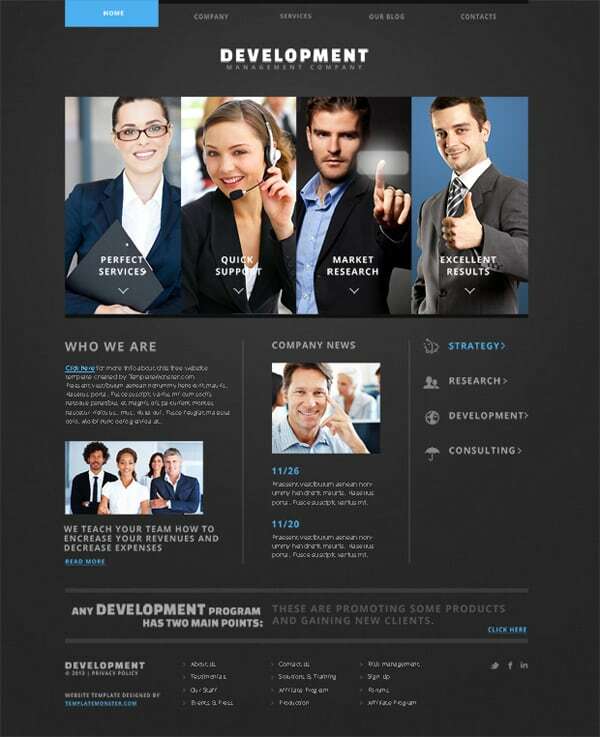 The design is built on JAT3 2 Framework and is fully responsive. 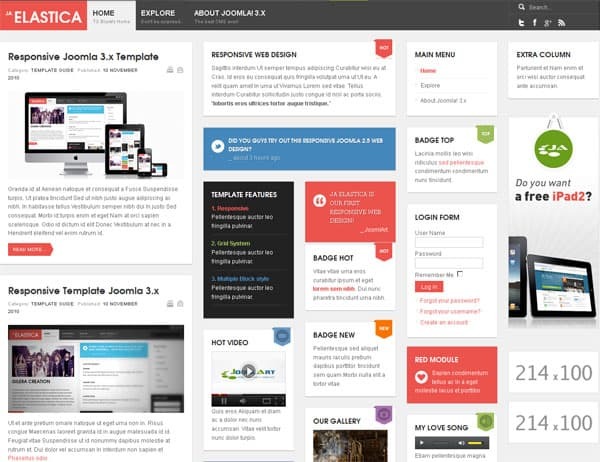 The next theme is compatible with Joomla 1.6.x – 1.7.x and Joomla 2.5.x. It makes use of stylish black & white color scheme with light blue accents and coral tags. The template is responsive, so the site built on its basis will be correctly displayed on various handheld devices. 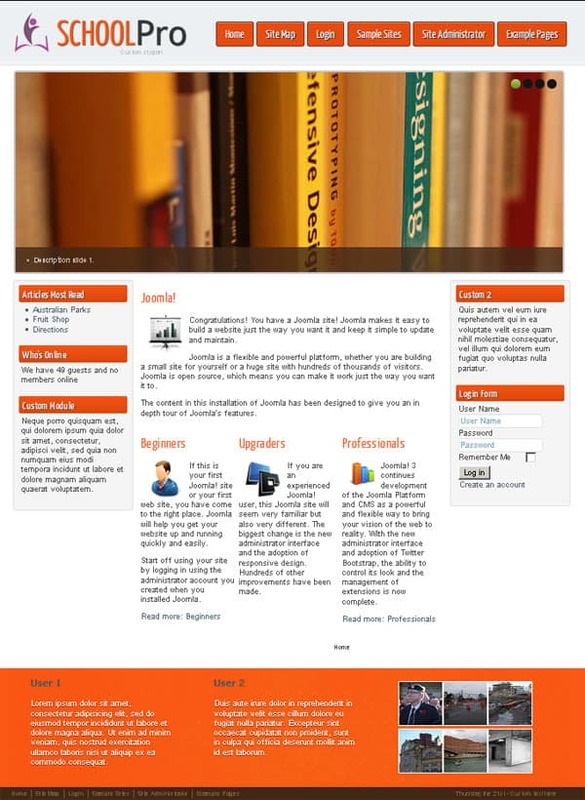 Bright and positive, this Joomla 3.x template is a good fit for all kinds of educational websites. Simple navigation and thought-out layout make it a solid basis for your future site. Simple and clean – it’s all about the following design of free Joomla template. 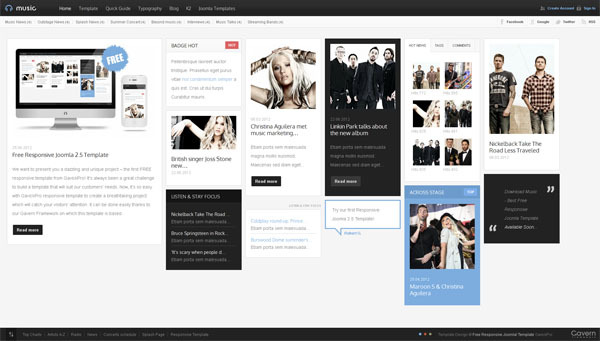 Its wisely arranged content blocks and thought-out navigation form a good basis for a future site of a serious company. 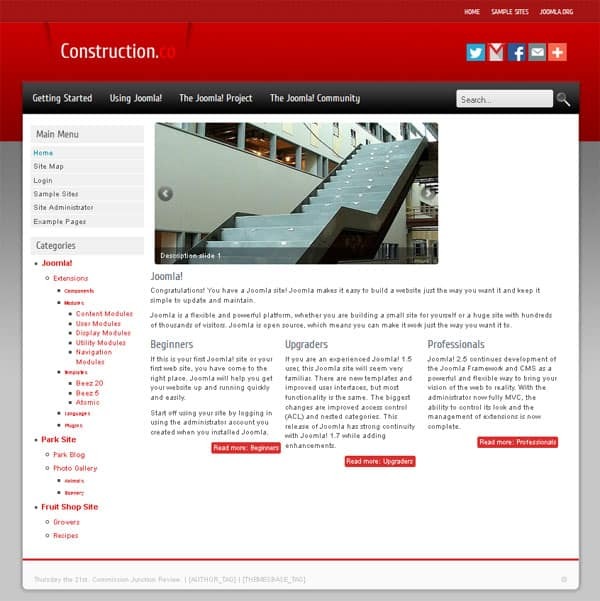 The last freebie in this collection is effective Joomla theme for websites that present construction companies online. Try it and see how easily you can get a site on the basis of well-done Joomla templates. Katarina Klementi is the author of this post. Blogging, sharing the latest web design news is her cup of tea. If you want to find more of her posts on various topics, follow her Google + account . 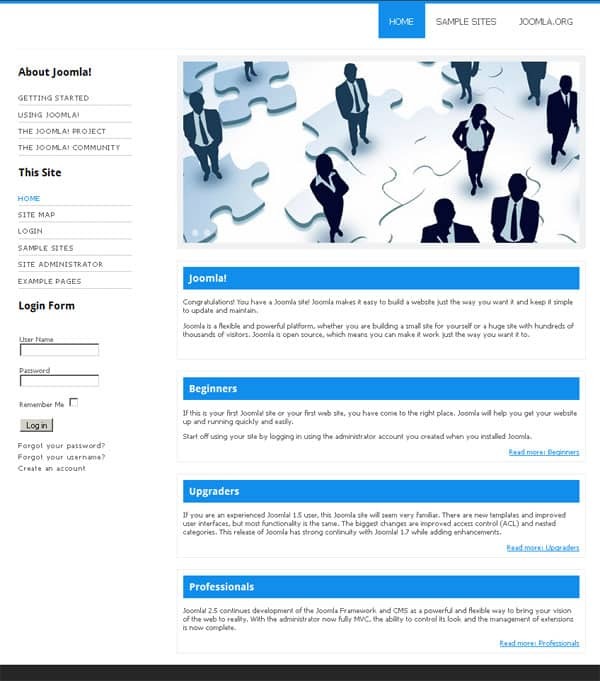 This entry was posted in Joomla, Web Design and tagged Free Joomla Themes on December 9, 2013 by John Walker.